Team photo shoots can get pretty boring when you're used to fast-paced construction schedules. Good things we have Superintendent Jeff Bird on-hand to get the party started. 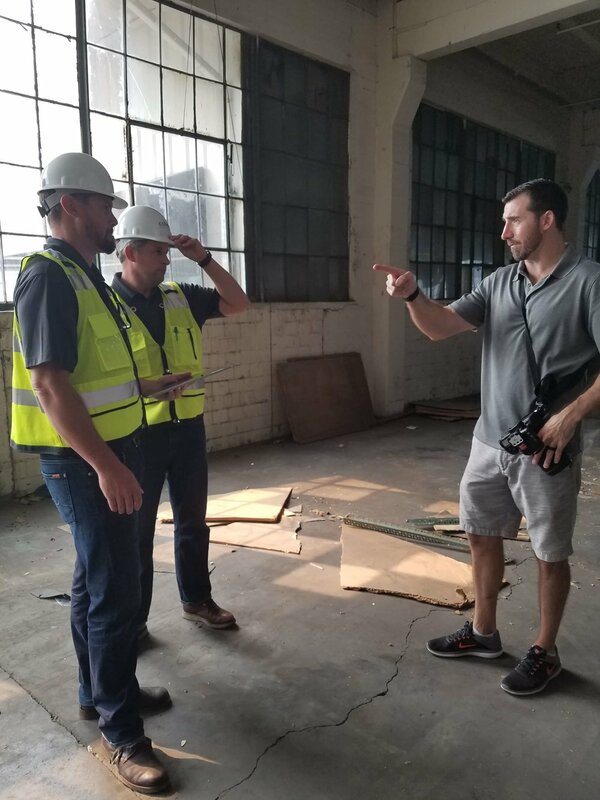 The shoot was held inside the Frye Warehouse in the shadow of Century Link Field, where the Colvos team is currently demolishing the warehouse for King County. After demo, the site will be graded and paved to provide addition space for the Transit Authority hub across 1st Avenue.